After running multiple implementation projects using the Service Automation Framework (SAF) as a practice, I thought it would be a good idea to summarise a few thoughts as to why this practice makes a difference. And why I think it will be even more helpful for organisations in the middle of a digital revolution to take more advantage of SAF. Automation of services is something many organisations have been working on for a long time, but I experience that using the SAF when designing and implementing automated services increases the grade of automation – especially the grade realised in practice. 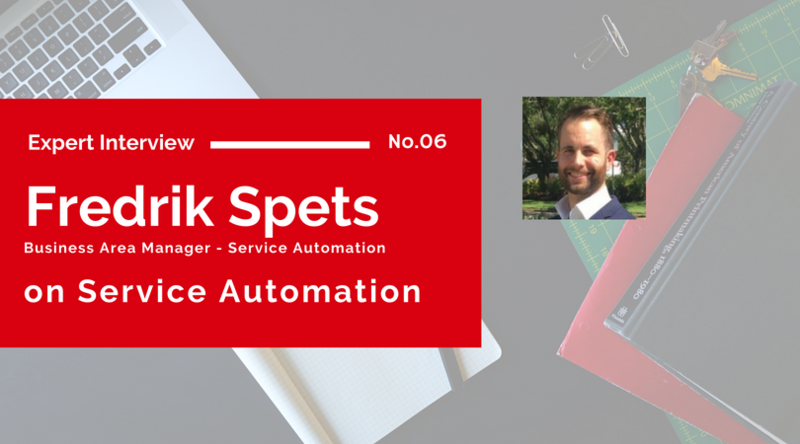 Of course, one aspect is that service automation enhances the whole user experience. Ever tried changing your credit card number for paying your monthly Spotify bills? No problems there. Cancelling your Netflix service? Just a few clicks. These ‘disruptive’ types of service providers – with high grades of automation – manage this perfectly. They make my whole service experience great. But are all services that automated in these aspects? Not today. Booked a flight recently? Very automated. But have you ever tried adding a meal to an existing flight booking? How do you do that? Changing seats? Is that even legal? Hotel bookings? Automated, works perfect. Subsequently tried switching dates on your hotel booking from one weekend to another because you picked the wrong dates. Impossible. Well… maybe not impossible, but most definitely not automated (at least not at most places). All the scenarios that require changing, upgrading, cancelling, and in general managing your service, often require you to send e-mails, do calls and wait for different support staff to check and update in multiple systems. Manually! And you just hope that everything will work out okay in the end. I would say that a lot of service provides can scale up their service automation. Not just a little, but quite a lot… I would be a much happier customer. SAF is a great tool to use to quickly identify these user interactions, which processes they drive, in what systems, and by which departments – and to subsequently find efficient ways that help to automate them. Additionally, we have a companies’ own, internal, service organizations. These are most often much worse. Within large enterprises these service organizations like IT, HR, Finance and Procurement provide a tremendous amount of services to the employees. Establishing a good user experience is just as important in these internal services organizations, because employees want a productive and modern place to work. But there are other factors driving the need for internal service organization scaling up their automation as well. Do you as a service provider know in what systems and services an employee’s personal data must be removed if demanded to? Can an application service owner manage license compliance when employees are using the services globally in different countries? Does the employee that has been working for the company the longest have the highest access levels in different systems and services? Even though the employee’s current role does not require it? Does a manager, whom was just given responsibility for five more employees due to a change in the organization, know what services they now have and which kinds of (additional) costs they bring to their new cost centre? Does an employee, when logging to the company self-service portal looking for help, have to navigate between a wide set of categories and folders of all potential services being provided, before they find what they use and can ask for help? Or is the employee instead directly presented with the right choice of services currently subscribing to and so is able to take immediate action? The Service Automated Framework helps with both the examples above, because it guides the automation of all service interactions. The SAF is also very well suited for bringing in new kinds of technology to drive automation. Existing service platforms (and literature) often focus on the end user, who interacts with an automated service through a self-service interface. This interface is then connected to technical processes and other systems that facilitate the automated delivery of the service. Today’s self-service portals are becoming smarter – and a popular example of this is the use of Artificial Intelligence (AI) chatbots. The user is no longer interacting with a digitalized form on a web page, but rather chatting directly with an intelligent bot. With the layered structure of the SAF blueprint, this works very well. Although the AI chatbots change the service interaction layer, the underlying processes and functions of the framework remain the same. However, the AI chatbot, or the self-service portal, does not necessarily need to integrate directly to multiple systems. Nor does it need to initiate complex BPM platforms. A lot of automation can be achieved very easily today using the new technology of Robotic Process Automation (RPA). The benefit of your already documented SAF blueprints is that you can, in a very holistic way, see what complex processes the service interactions are initiating, and where a robot could speed up and simplify things. Maybe the RPA process is not directly visible to the end user, and they still interact in the portal (or was it a bot? ), yet the overall scale of automation is getting more simplified, streamlined and easier to maintain. I think that with the increased demand for automated services – both services for me as a consumer as well as services for me as an employee – together with new laws that require better control on information, service automation is must. And because of the rise of new technologies, we need to use a structured way to move companies from point A to point B on their automation roadmap. The Service Automation Framework is a very strong foundation to help with that.